John Hockenberry, left, and Celeste Headlee have co-hosted “The Takeaway” since fall 2009 (Photo: Marco Antonio). WNYC will move production of The Takeaway to later in the day and trim its length to one hour starting in September in an effort to boost carriage of the off-the-cuff news show that set out to challenge Morning Edition. The New York station launched The Takeaway with co-producer Public Radio International in 2008 as an alternative to NPR’s morning blockbuster, with a more spontaneous approach and increased audience interaction. But after four years, the show airs on the primary broadcast signals of 55 stations, up by just 15 since September 2009. Ten additional stations air it on digital multicast channels. WNYC had banked on the likelihood that stations would take a chance and give prime morning real estate to a newcomer. But station programmers proved unwilling, particularly in a challenging economic climate, and NPR’s newsmag continues to dominate mornings. In fall 2011, Morning Edition took up about 88 percent of the hours devoted to news programming from 5 a.m. to 9 a.m. on NPR member stations that carry news, according to NPR. BBC World Service has the second-most hours, and The Takeaway comes in third. The show has been an especially hard sell to stations on the West Coast, who have had fewer hours to choose from if they wanted to avoid displacing Morning Edition. Only two stations on the West Coast now air The Takeaway on their primary signals. The Takeaway’s East Coast–based producers now start their days at 4 a.m., and the show is live throughout the morning. The early start and intense production cycle complicates keeping the show fresh and relevant for West Coast listeners as the day progresses. “We’ve been a very East Coast show, and we want to be national,” Cappello says. Producers began considering a later feed time about a year ago. In December they launched a one-hour version of the show that feeds at 9 a.m. Eastern time, which met with positive feedback from stations. Starting Sept. 3, the earlier live feed, which now starts at 6 a.m., will end and the one-hour live Takeaway at 9 a.m. will remain. An updated hour, sometimes significantly revised, will be fed at noon Eastern time and will roll over until at least 4 p.m. Timing of The Takeaway’s debut, which coincided with the economic downturn, undercut its bid for carriage. The climate made programmers even more wary of changes and discouraged underwriters and foundations from backing the program, Cappello says. “If you’re in a tight advertising market, and [sponsors] have a choice between an established platform and something brand-new, it’s a tough conversation to have,” he says. The show did receive start-up support from CPB, but the second of its two two-year grants runs out at the end of this summer. WNYC expects to trim The Takeaway’s staff as it shifts to the new production schedule. The show employs 23 staffers, some of whom are with Takeaway partners WGBH in Boston and the BBC World Service. New York Times Radio is also a collaborator. With the move to a new feed time, The Takeaway will work to draw more station-based reporters into production and continue to build audience engagement via social media. The latter, a trademark of the show’s approach, has made it especially appealing and unconventional in the morning hours, says Mikel Ellcessor, g.m. of WDET in Detroit. WDET now airs The Takeaway from 8 to 10 a.m. Though carriage may be lacking, The Takeaway has achieved another goal of cultivating a more racially diverse audience. The percentage of African Americans listening to the show exceeds the African-American audience for typical public radio programs by 60 percent, according to fall 2011 Arbitron Nationwide data provided by WNYC. Anecdotal feedback from WDET’s African-American listeners backs up the story told by the national data, according to Ellcessor. WDET will continue carrying The Takeaway at 9 a.m. and will probably switch to Morning Edition in the 8 a.m. hour. The Takeaway’s future on Northeast Public Radio in Amherst, Mass., is less clear. 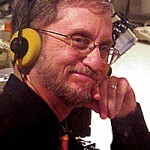 The station now airs an hour of the show at 6 a.m. on its AM signal. Helen Barrington, executive director of programming, is reluctant to air The Takeaway at 9 a.m. because the station is planning a local talk show for that hour and is unsure whether she would dump a show later in the day. Barrington had previously encouraged The Takeaway’s producers to move it into middays, but says she admires their gumption in taking on Morning Edition. Albany gets a lot of Chartock, but how much is too much? When Alan Chartock, president of Northeast Public Radio in Albany, N.Y., was on a wife-imposed Mexican vacation, despite her objections he still found a way to call in for his five-day-a-week 7:34 a.m. spot. Chartock, 70, lives and breathes the media institution he created nearly single-handedly in 1981. Morning Edition is fantastic: why try to dump it?? The Take Away got better and better, and now it’s going to be reduced? Frankly, the show I could do without is the BBC; but other friends love it. On Point has a fantastic interface with listeners, and a brilliant host with terrific guests. What ties all these shows together is the BRILLIANT JOURNALISTS. Some audience participation helps plump out a discussion or questions, but too much of it, and we’ll only have less air time for BRILLIANT JOURNALISTS!!! What are you emulating? The Fox station with virtually NO brilliant journalists and tons of PANDERING to an audience made ignorant — one might even say, ‘crafted into ignorance’ — by the LACK OF BRILLIANT JOURNALISTS! Public broadcasting needs to beware of genuflecting before Social Media: it cannot compare to BRILLIANT, INVESTIGATIVE, FACT-CHECKED JOURNALISM!! On a related note, I heard that Celeste Headlee will be leaving the Take Away. This is very unfortunate for us. For awhile, she seemed to be committed to the idea of speaking really really fast, as if she could draw in a whole young audience by acquiring their form of speech. Unfortunately, she would mis-speak and have to repeat herself, thus taking up as much time as regular journalistic speech would have taken. She has since then started speaking in what I must assume is her natural speech pattern, with this consequence: her BRILLIANT JOURNALISM shows thru, AND she gives a lively presentation. I have noticed that many of the NPR journalists seem to be speaking faster nowadays. Please Stop It!!! People need time to listen and to process what they are hearing. This is NEWS, i.e., new-s! Maybe there are too many people in public broadcasting: perhaps that explains the desire to unseat successful shows, filled with BRILLIANT JOURNALISM, that also seem to take diversity quite seriously. Please stop trying to unseat one another. The REAL FIGHT is against the Fox Network: don’t try to dilute, via Social Media, NPR shows into sounding LIKE FOX!!! Thanks! Tina – While I agree with much of what you say, the truth is that the core of public radio’s paying membership are older white males so the current business model won’t work in the long run. The only way to entice new audiences is to innovate without compromising public radio’s integrity, excellence, etc. Oh, I so LOVE The Takeaway and won’t be able to tune in later in the day, not even at 9:00. Morning Edition is also great, but The Takeaway is my favorite. Why Did Celeste Headlee leave? Why is she just gone with no comment? I spoke with Celeste the other day. She wasn’t given a choice. The producers decided to downsize the show and opted for Hockenberry as the sole host. But fortunately Celeste has some exciting “normal working-hour” opportunities that should keep her in the news biz for some time. John Hockenberry’s strength as a host came through after Sandy in special call in shows. He is a terrible interviewer. Almost never asking tough questions. Listening to him makes you wonder how he prepares, what he reads…The Takeaway was a good idea, a great concept. The talent is not there to deliver.